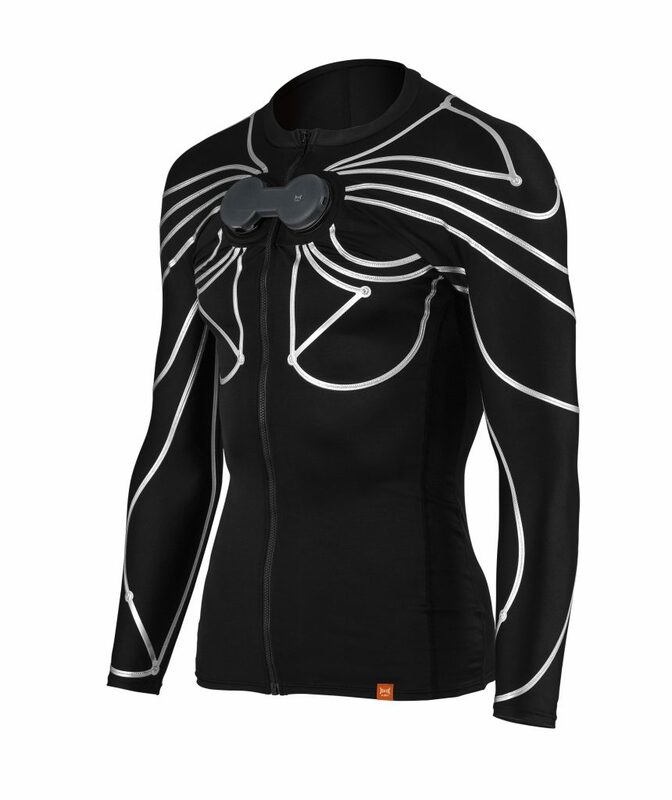 Xenoma’s e-skin is the next generation smart shirt enabling new motion and gesture tracking experiences, from virtual reality games to personalized fitness and healthcare. 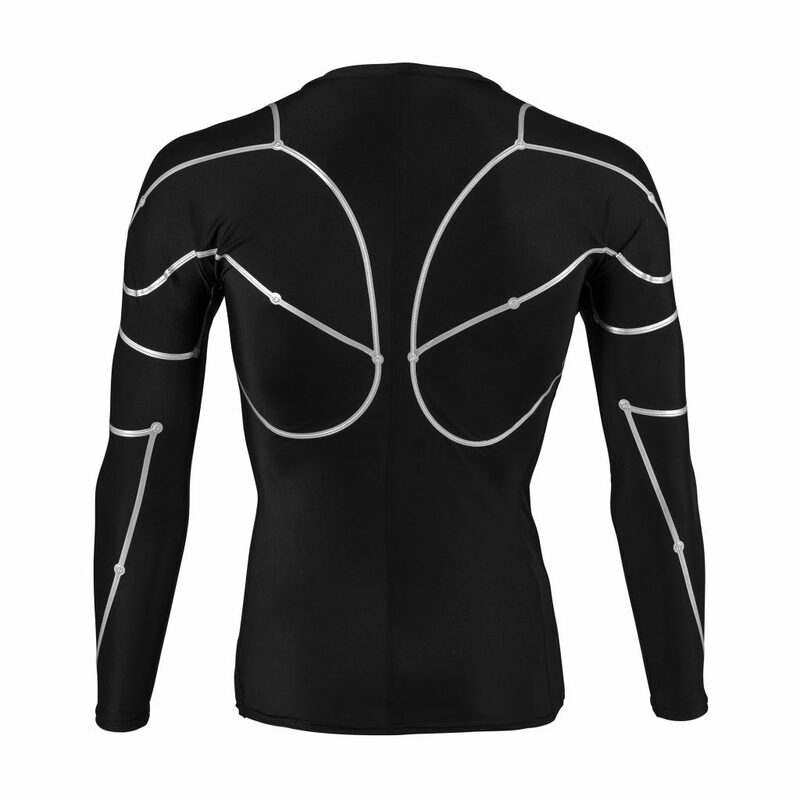 Through its launch, Xenoma aims to revolutionize wearable electronic clothing and apparel. 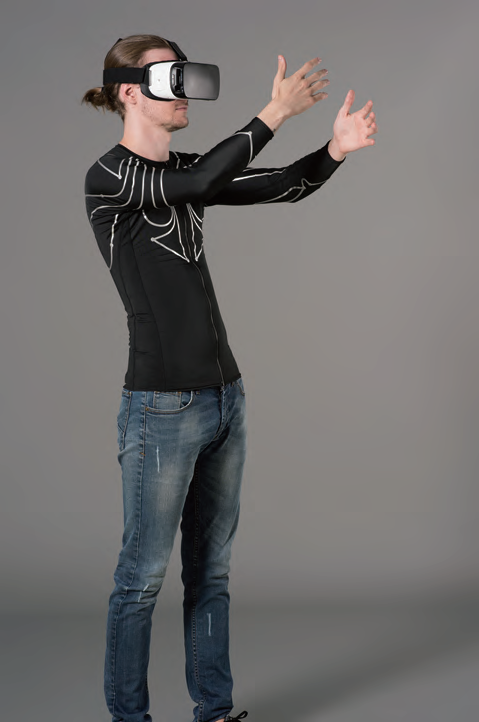 Control a game character using your whole body. Improve your form for a variety of sports and activities. Monitor your respiration and condition during sleep. The e-skin Software Development Kit (SDK) supports app development on both Windows and Android devices using the Unity game development engine. Also included in the Developer’s Kit are sample APIs for common movements and gestures like running, jumping, punching, etc. 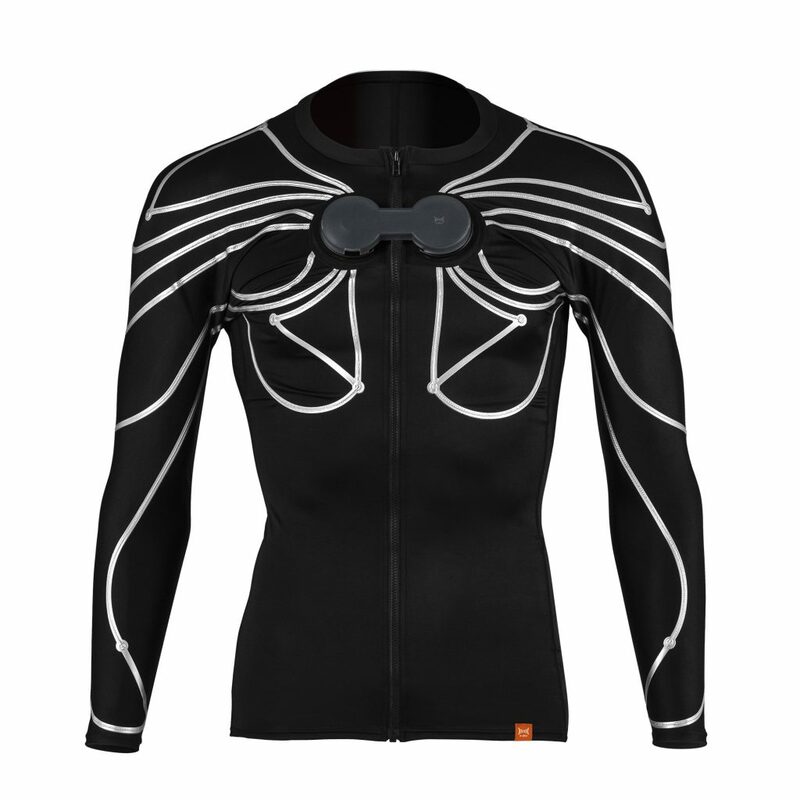 added convenience of a full-front zipper. powered on at the moment of attachment. As a platform for the new era of connectedness, e-skin can be applied not only to closed applications such as unobtrusively monitoring of infants and the elderly and safety management for workers, but also to new applications such as preventive medical treatment using big data.